This photo shows an ICE #60-S diesel hammer driving long H-piles, as a sub-contractor to Cajun Contractors, along Peters Rd. in Harvey, La. for a flood protection project. 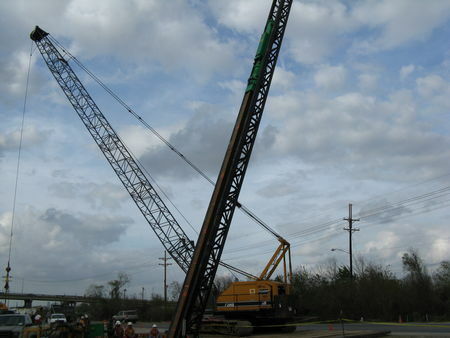 The contractor, Gulf South Piling and Construction, is currently only working at night (due to proximity to offices and business that are staffed during daylight hours.